General Mott was an attorney who subsequently became governor of New Jersey. The adjutant general of the United States army. He was a career soldier who was an acknowledged authority on military law and the rules and usages of war. Upon discharge from the Army he became Governor of Pennsylvania. 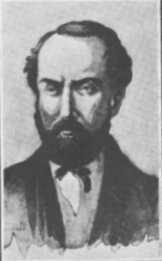 Prior to the Civil War he served as Governor of the Territory of Kansas and was the first Mayor of San Francisco. 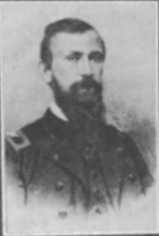 In addition to his military service in the Civil War, including the Battle of Gettysburg, Geary was a decorated veteran of the War with Mexico. A native of Maine and a lawyer, who was the well educated son of a United States Senator. A native of Philadelphia and of German decent, who had commanded the 98th Pennsylvania Infantry, a German Rifle Regiment that served on the upper Potomac. A distinguished artillery officer from New York. Was the youngest member of the commission, at 26. Text written by Bill Carnes. Images on this page have been obtained by Troy Drew from The Andersonville Prison Trial: The Trial of Captain Henry Wirz, by General N.P. Chipman, 1911.